How do I purchase it in wholesale quantities? This product is a long-lasting dermal filler you can use to correct deep wrinkles and creases as well as contour your patient's face. 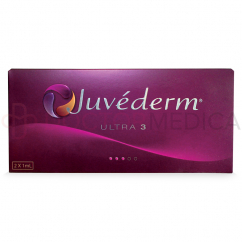 You can buy it online from Doctor Medica for a low wholesale price. You can also order it by phone or email from our helpful customer service associates for personalized service. 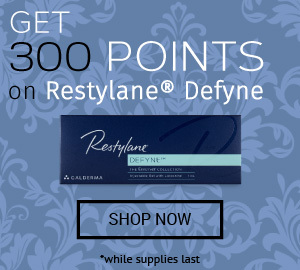 Purchase it today to give your patient long-lasting smooth skin. What is it and what ingredients does it contain? 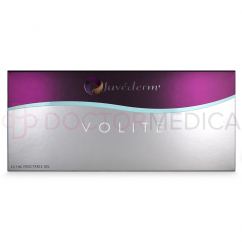 Juvederm Volift is marketed in the USA as Juvederm Vollure. 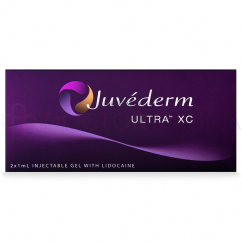 This injectable is made from highly cross-linked hyaluronic acid, produced with Allergan's Vycross technology for smoothness and stability. 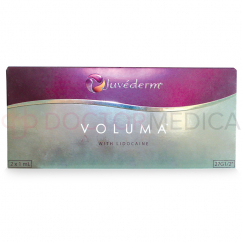 It is also made with Lidocaine, an anesthetic that can help make your patient's treatment more comfortable. 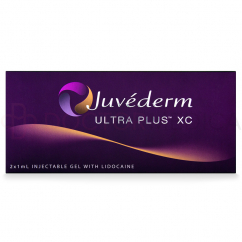 When you inject its clear, smooth gel into your patient's dermis, the hyaluronic acid plumps up to about a thousand times its size within the skin. This stretches the skin, thus smoothing out deep wrinkles and thick creases, as well as replacing lost volume within hollow areas of skin and contouring facial features. When should my patient return for their next injection? 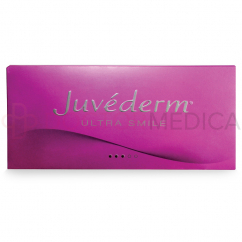 This cosmetic filler does instantly plump and fill your patient's skin, but it is also long-lasting. 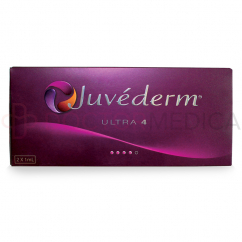 While most dermal fillers last for about six months to a year, this one lasts for around fifteen months for most patients. Your patient will appreciate not having to come back for an additional treatment for more than a year, saving them the time and hassle of returning for frequent appointments to keep their skin smooth and soft. Who should be concerned about its side effects? 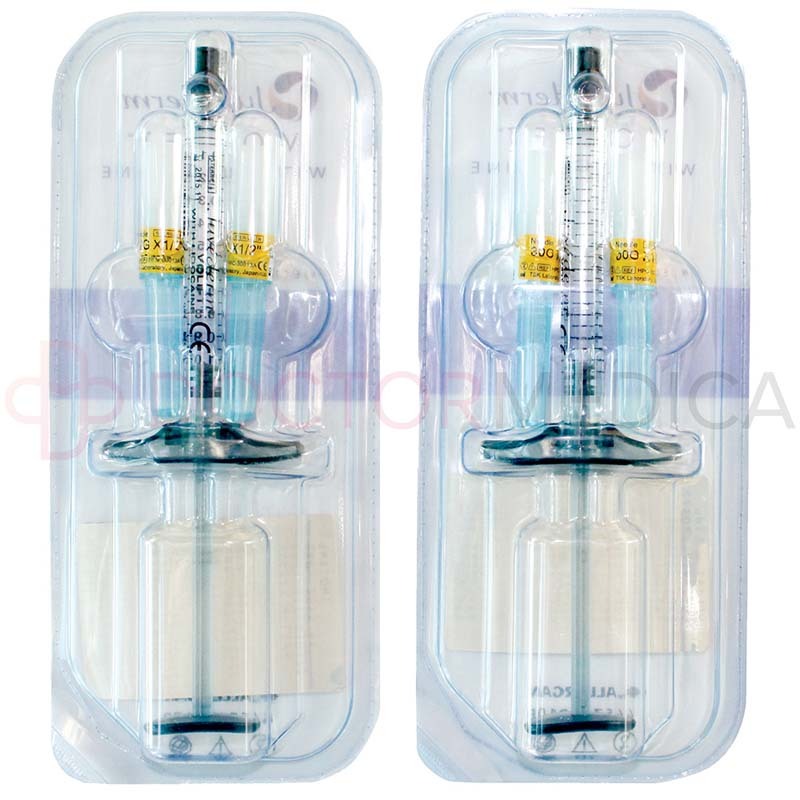 Hyaluronic acid is found naturally in the body, so most people tolerate it well. 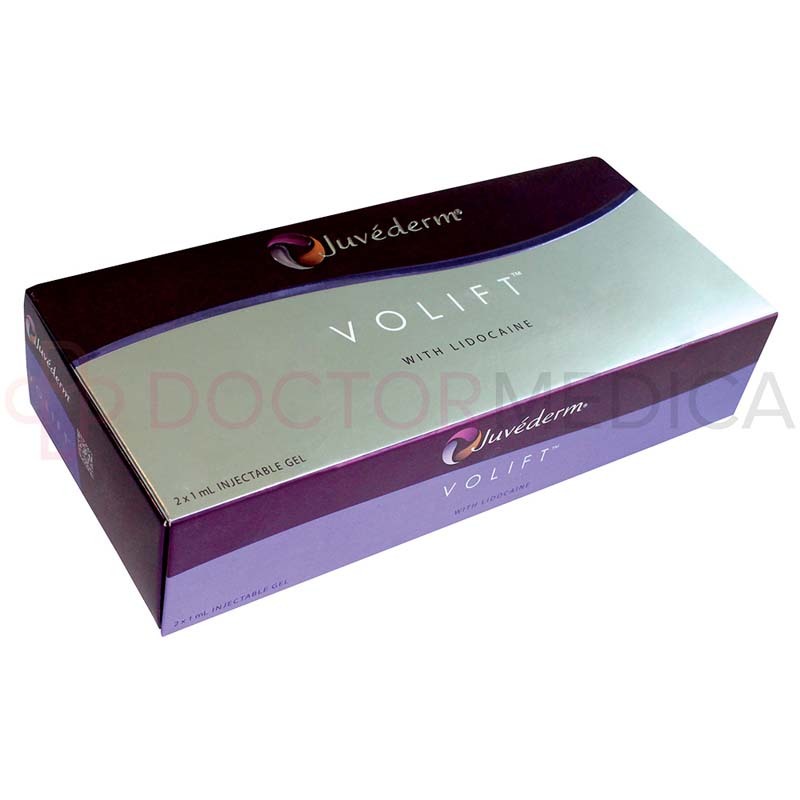 However, it can cause some minor side effects, mainly related to the injection itself. These side effects could include bruising, redness, itching, pain, swelling, or possibly lumps. These side effects are generally mild and only last a few days. 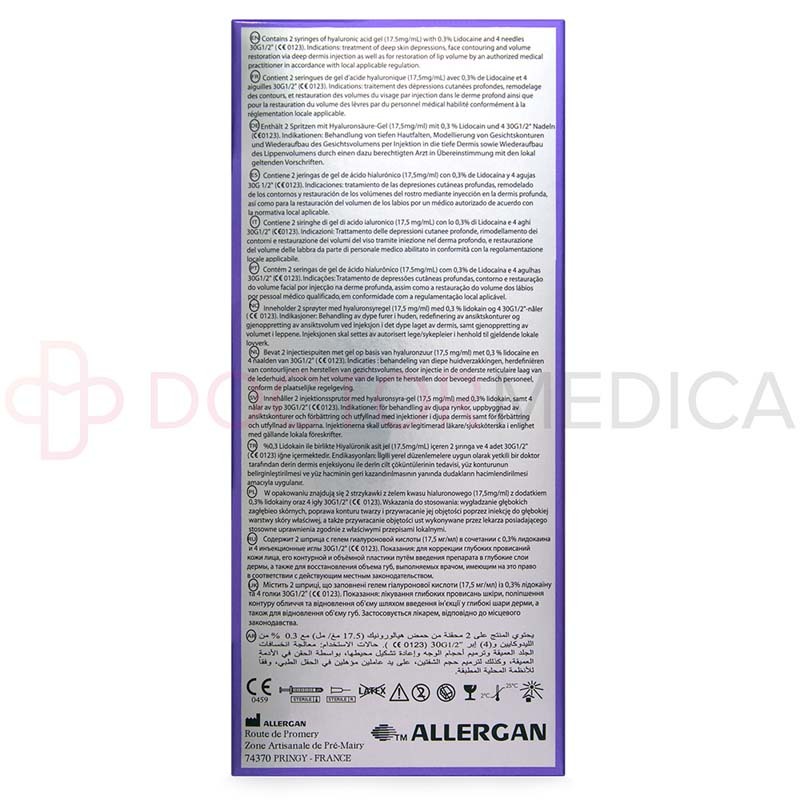 Why should I purchase it for my clinic? 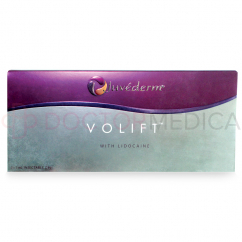 This smooth dermal filler can give natural-looking results. 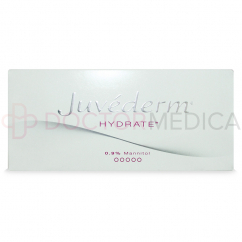 Its main advantage, however, is that it lasts longer than most dermal fillers made with hyaluronic acid. 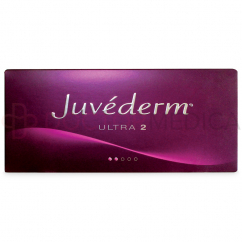 This makes it a great addition to any clinic that wants to give their patients quality results that last. 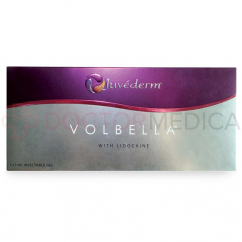 Erase nasolabial folds or other deep facial wrinkles and save by shopping from us.